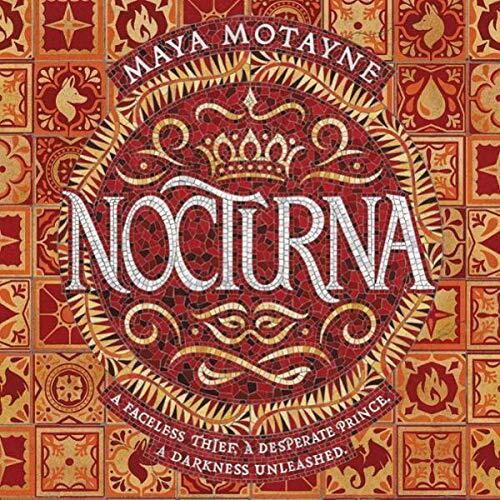 The first in a sweeping and epic own-voices debut fantasy trilogy - set in a stunning Latinx-inspired world - about a face-changing thief and a risk-taking prince who must team up to defeat a powerful evil they accidentally unleashed. Perfect for fans of Tomi Adeyemi, Leigh Bardugo, and V. E. Schwab. To Finn Voy, magic is two things: a knife to hold under the chin of anyone who crosses her...and a disguise she shrugs on as easily as others pull on cloaks. As a talented face-shifter, it’s been years since Finn has seen her own face, and that’s exactly how she likes it. But when Finn gets caught by a powerful mobster, she’s forced into an impossible mission: steal a legendary treasure from Castallan’s royal palace or be stripped of her magic forever. After the murder of his older brother, Prince Alfehr is first in line for the Castallan throne. But Alfie can’t help but feel he will never live up to his brother’s legacy. Riddled with grief, Alfie is obsessed with finding a way to bring his brother back, even if it means dabbling in forbidden magic. But when Finn's and Alfie’s fates collide, they accidentally unlock a terrible, ancient power - which, if not contained, will devour the world. With Castallan’s fate in their hands, Alfie and Finn must race to vanquish what they have unleashed, even if it means facing the deepest darkness in their pasts.